I was searching the internet the other day and came across an interesting site. I seldom check past the first page of results if I don’t find what I’m looking for. Instead, I’ll refine my search criteria to get better results. I can’t remember what I was looking for that day, but it doesn’t matter. In Antarctica, I wanted to explore a “what if” idea. What if Antarctica, rather than being a cold, barren wasteland, was instead a populous nation of beautiful cities, green forests, blue lakes, pink glaciers, with a history going back 40,000 years? Rather than simply writing a story about that notion, I decided to create a fictional tourist-type website devoted to Antarctica, much like sites created on behalf of Germany, New Zealand, or Brazil. I learned a couple of things from that. First, read a lot more and get all the facts before believing everything you read, especially on the internet. 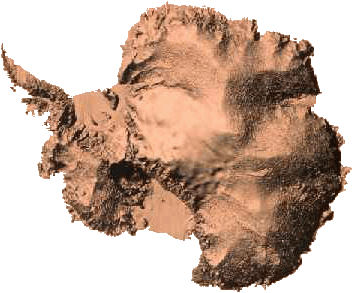 If you read the pages on that site, Antarctica sounds like a nice place and it gradually becomes apparent that it is too good to be true. But, you have to read more than just the first few sentences. Second, I learned that my search method of not looking beyond the first page of results is too idealistic. While searching the internet a lot these past couple days I’ve been shocked to see how many sites exist that are literally impossible to find on search engines. In a conversation with my brother the other day, he made me realize that most people don’t know anything about search engine optimization (SEO) and I’ve been taking that knowledge for granted. Very few sites do it properly, if even at all. That’s why you can’t look at just the first results page — you often have to compensate for poorly coded sites in order to find what you’re really looking for. Some people will believe anything. Those who are truly gullible are the easiest to deceive, which is why they so often make fools of themselves. Those who are merely credulous might be a little too quick to believe something, but they usually aren’t stupid enough to act on it. I’m Credulous, Not Gullible was published by Daniel Menjívar on February 1, 2008 at 10:30:32 PM MST and last updated on April 18, 2019 at 4:40:41 PM UTC .